What Is Going On With The UK Release Of The New SpongeBob Film? 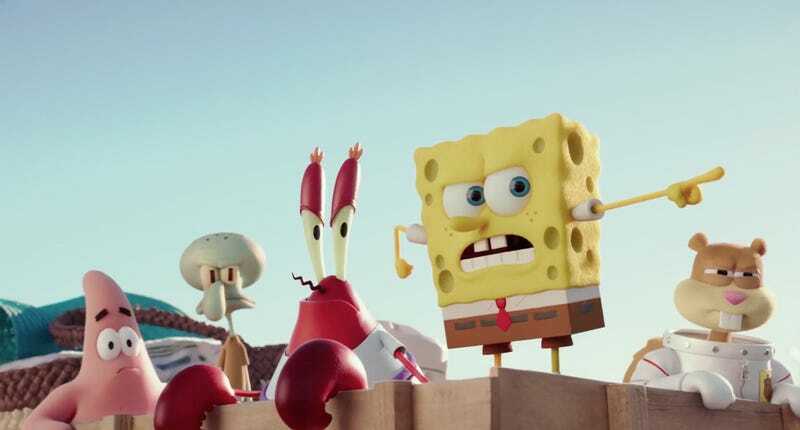 As some of you may have known, the New SpongeBob SquarePants movie got delayed in the UK until the 27th of this month (compared to the rest of Europe which got it around the 18 - 20 of April). As it's my birthday on the 31st and I feel like I have become a bit of a shut in in the past few months, I was planing on seeing this with a couple of friends and go for a meal afterwards. I looked up the times at my local Vue cinema in Carlisle, but I noticed they were showing it only once, which was a 4pm screening on the 2nd of April designed to be, "Autism Friendly" (which I have serious issues about the name, the insensitive nature of such a screening and the patronizing attitude of the person I talked to). I then checked Annan which isn't to far from here and again, only one showing on the 2nd of April, this time at 3pm. I then checked Newcastle, about a 70 minute train ride, shouldn't be a problem. But again, the same result. After looking up several more locations, the closet I could find was in Glasgow and even then, they seem to be only showing the film for six days. This is beyond a joke, I shouldn't have to take 2.13 hr train ride to see the SpongeBob movie, a film if I'm not mistaken that has done very well in the USA. It's not like Carlisle and Newcastle are small farming communities, their pretty big cities. It honestly feels like once again, the UK has been snubbed which seems to happen with every animated film now. From Big Hero 6, Frozen, Brave, The Wind Rises, Evangelion 3.0, DBZ: Battle of Gods, Wreck-It Ralph and Paranorman. I'll doubt we'll get a theatrical release of DBZ: Resurrection F, no, we'll get a delayed release on DVD of course. It's not like these films don't sell well here either as a simple look at Box Office Mojo will show you. It's clearly no longer a dubbing issue anymore either. Honestly, it feels like either self sabotage and simply being snubbed at this point.